Every novel has a story behind. Why did we choose that particular book amongst all the rest of novel when we visit our local bookstore? Sometimes could be because we have read a review in Internet or the newspaper (yeah, still there are adults to do that), or maybe because a friend told us about it, perhaps somebody at our local bookstore recommend it, and sometimes is because we spot the book and the novel starts calling our name. Now let me tell you what happened to me and C. J. Tudor’s ‘The Chalk Man’. Not a long time ago, two of my mates and me decided to go on a three days breakaway to Edinburgh, a train trip, a little bit more than 2 hours. I didn’t have anything to read in the trip so I rushed to my local Waterstones to see what could I take to the Highlands. When I arrived I started snooping around but nothing caught my eye until I see a black book with a chalk man drawing. I thought ‘uhmmm, this is interesting’, then after checking the storyline I was totally on board. This big boy was coming to Scotland with us. When you start reading this novel, the main genre is the typical killing in the middle of nowhere in England, which is appealing for itself. To be honest, I’m a little bit tired that all the time, all the books are based in the same area on LA or Arkansas. I want novels that I can relate and this is one. Then the story flash backed you to the past and some bullying. Then adds some supernatural or shady elements, wow, I’m hooked then add so many twists that my neck is almost broken. The finish product? 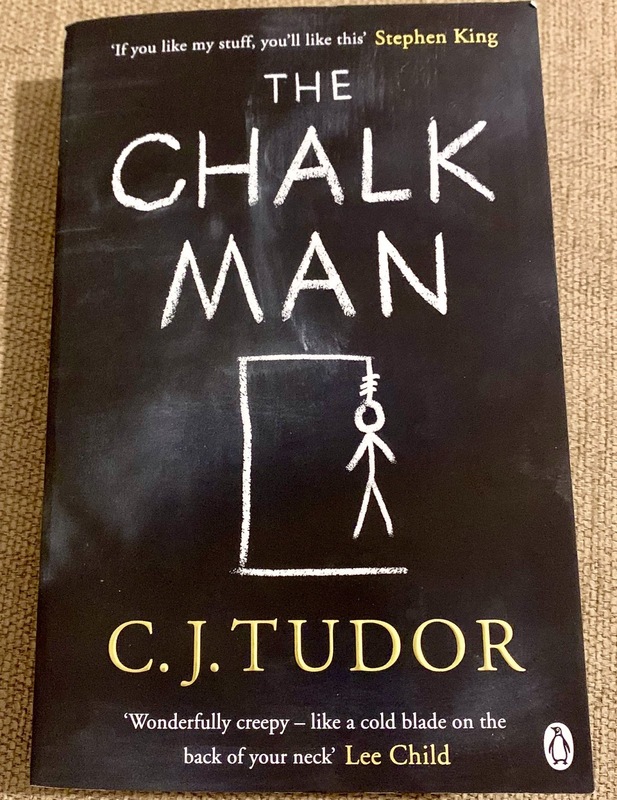 The Chalk Man. In that trip, which was amazing by the way, I only could read on the train and at night. I finished it before I get back home. The action is thrilling, you won’t leave the book alone until you finished it. When the likes of Lee Child, Stephen King or John Boyne recommend this book is for a good reason.